Give yourself 20 minutes to cook this brilliant Moroccan-style tagine with couscous. Bursting with flavour and relatively easy to make with the kitchen left relatively mess free. Medium heat a big pan and add the oil, cinnamon, paprika, turmeric and cumin. Heat for 1 minute, stirring it all together. 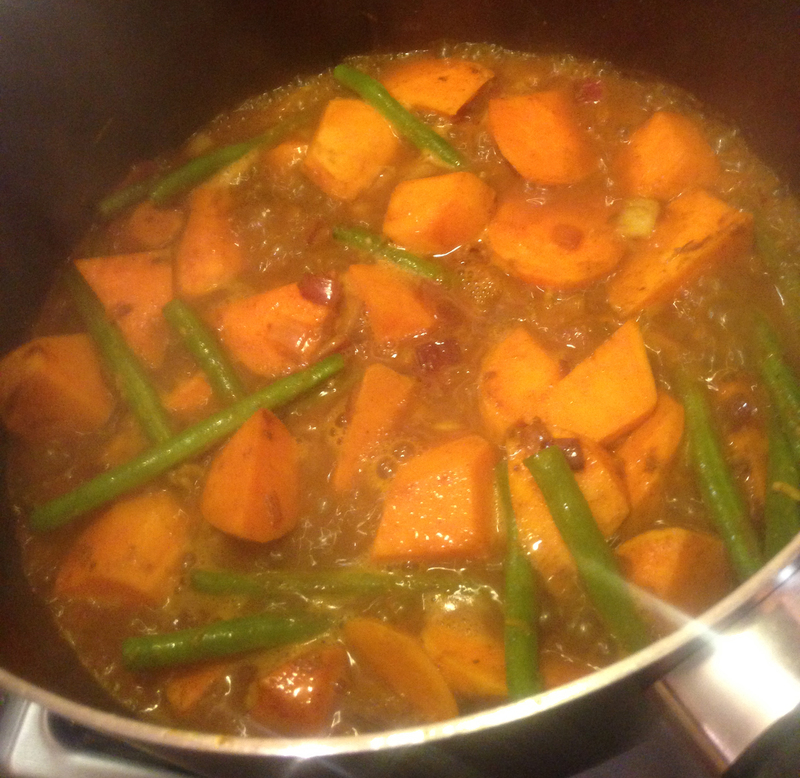 Add the sweet potato, onion and green beans and increase the heat to high. 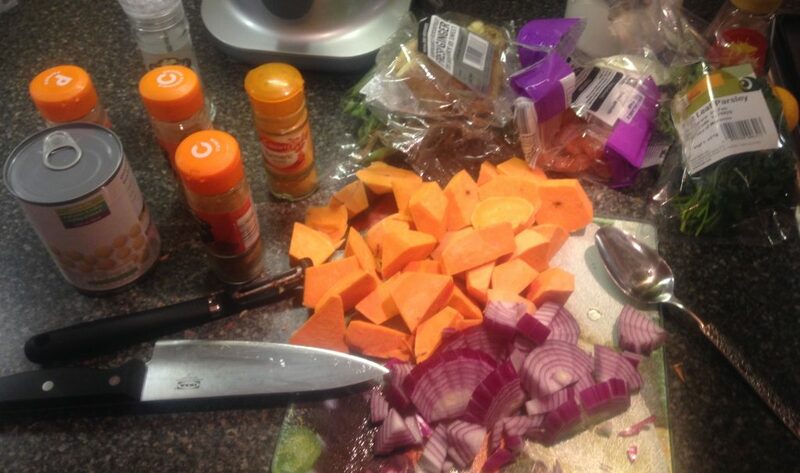 Give it a good stir so that these ingredients are covered with the spices for 2-3 minutes. Add the garlic and ginger and stir for another minute. Add the vegetable stock and bring to boil, then reduce the heat to simmer for 8 minutes. Start cooking the couscous (follow instructions on the packet), usually around 40g of couscous and 50ml of water in a bowl, stir and then leave. Add the chickpeas, apricots, and maple syrup and simmer for another 2-3 minutes. Keep checking to see if the sweet potato has become soft. When it has, turn off the heat. Squeeze in the lemon juice through a sieve so that you don’t get any pips. Add the parsley. Add a pinch or two of salt. 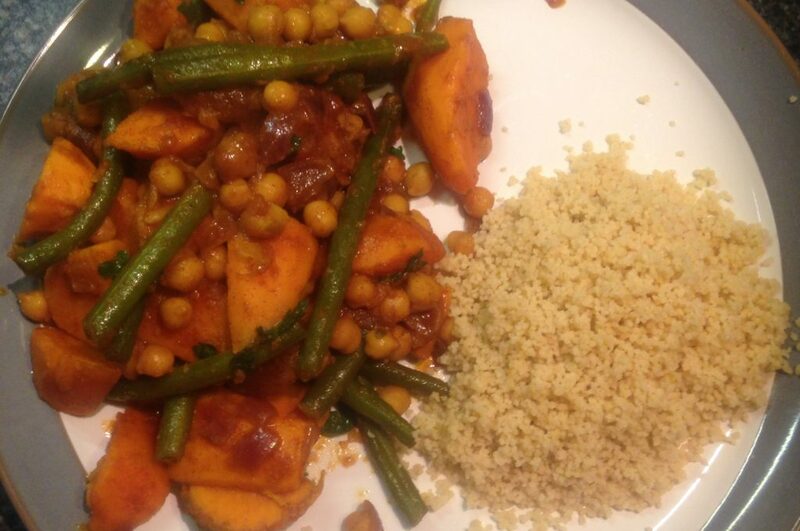 Give it a good stir and serve with couscous on one side of the plate.